OER Research. 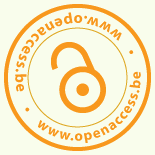 A repository for research on open educational resources (OERs). Accepts submissions “in just about every language” (Personal Mail, November 8, 2008). From IssueLab and the Hewlett Foundation. CSTA Source. “An Online Repository of K-12 Computer Science Teaching and Learning Materials.” From the Computer Science Teachers Association (CSTA).